Finland holiday cottage. Boasting a sauna, Camping Sysmä is situated in Sysmä. 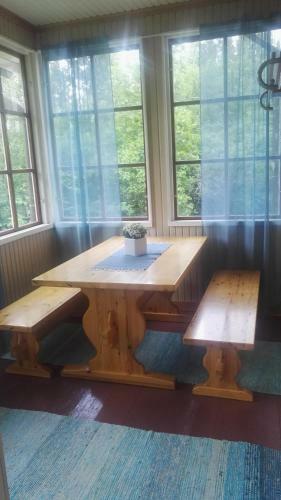 Featuring lake views and a garden, this chalet also features free WiFi. The chalet with a terrace and garden views features 4 bedrooms, a living room, a flat-screen TV, an equipped kitchen with a dishwasher and an oven, and a bathroom with a bidet. A continental breakfast is available each morning at the property. Camping Sysmä offers a children's playground. A bicycle rental service is available at Camping Sysmä. Jämsä is 49 km from Camping Sysmä, while Heinola is 37 km away.